BIG NEWS! Introducing Lyme-Ed online course! 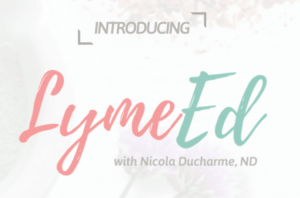 I’m writing with some exciting news about a new online course I have created called Lyme-Ed. For those of you who are in the world of chronic Lyme disease, you know that Lyme isn’t straight-forward. It’s complex, exhausting, and at times very discouraging – almost like a never-ending maze that gets more and more confusing as time passes. Lyme patients are constantly being introduced to new methods of treatment, “magical” cures, and never-ending research that is filled with fancy words and long-winded information that is difficult to digest and even more difficult to implement. … I get it. I hear you. I feel you. As a naturopathic doctor who has worked with Lyme disease for 15 years, I am constantly trying to find new ways to help my Lyme patients find and implement new approaches of treatment. I’ve done the research, I’ve read the books, I’ve tested the methods. It determining what approach actually works best for my patients, one thing was clear. It wasn’t black or white. It wasn’t one approach to treatment over the other. It was integrative. 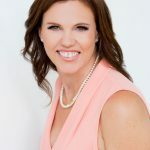 After many years of successfully implementing this approach, I decided to create Lyme-Ed, an educational tool that could reach everyone who was struggling with chronic Lyme. If you want to learn the nuances that you won’t find anywhere else – what to do if antibiotics stop working, how to use an herbal co-infection provocation to assess which co-infections are dominant for you, strategies for emotional healing and ways to break through detrimental neural pathways, and 10 key factors that can hinder your recovery… this course is for you! What exactly is Lyme Ed, you ask? In over 20 hours of valuable content, you can learn everything you need to know about adopting an integrative approach to Lyme – including what adopting an integrative approach actually means! You will learn why detoxification is so crucial and how to best support it, how to adjust your nutrition to reduce inflammation, and how to manage the symptoms that are so common in Lyme including pain, mood imbalances, cognitive deficits and fatigue. Not only is the course filled with valuable and actionable advice, but it also solves the confusion and overwhelm that patients feel when deciding what kind treatment they should pursue. 10 modules – everything you need to know about chronic Lyme disease including both allopathic and naturopathic treatment approaches, home-based strategies, hormones, digestion, strategies for emotional recovery and more. 2 bonus lectures on using essential oils in Lyme treatment, and CBD and Lyme. Lifetime access to all video lessons. Downloadable PDFs of all lesson notes. How-to guides and action plans. I feel so passionate about helping people navigate the complexities of chronic Lyme disease. This program is a culmination of 15 years of experience working with Lyme disease – all these strategies I use with my own patients. And there’s even a 30-day money-back guarantee if for any reason Lyme-Ed is not everything you had hoped. Lyme-Ed empowers the viewer with extensive knowledge on Lyme disease from leading Lyme doctor, Nicola McFadzean Ducharme. The program is a powerful collection of information that covers every aspect of how she approaches treating the condition in her own practice. If you want to understand the treatment of Lyme from an expert with years of clinical experience, this is not to be missed. 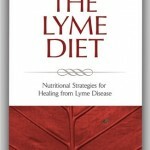 To learn more about Lyme-Ed’s comprehensive curriculum, click here. I can’t wait to take you on a journey towards better health!